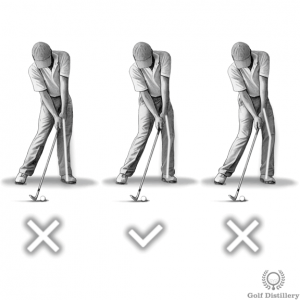 Use the golf tips below in order to improve the actual impact with the golf ball. 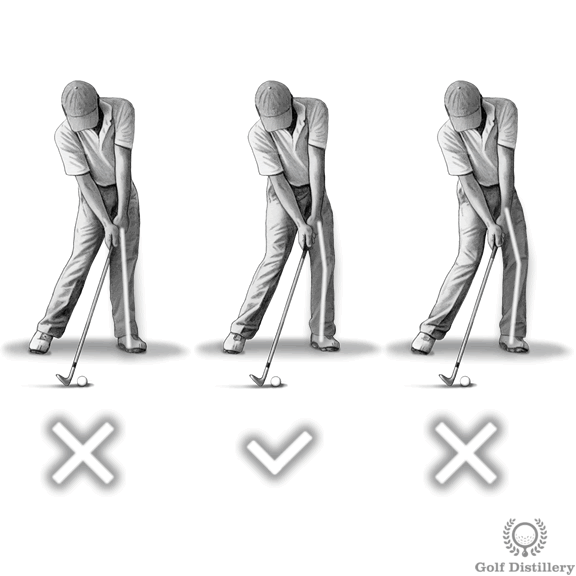 The impact is a point in time in your golf swing that occurs between the downswing and the follow through. Impact is the only golf swing sequence where you actually make contact with the ball, the only chance you have to tell the ball where you want it to go. At impact, your hands should be ahead of the clubhead in what is referred to as “keeping the lag”. The lag in question refers to the fact that the club follows the pace set by the hands and therefore lags them in position. 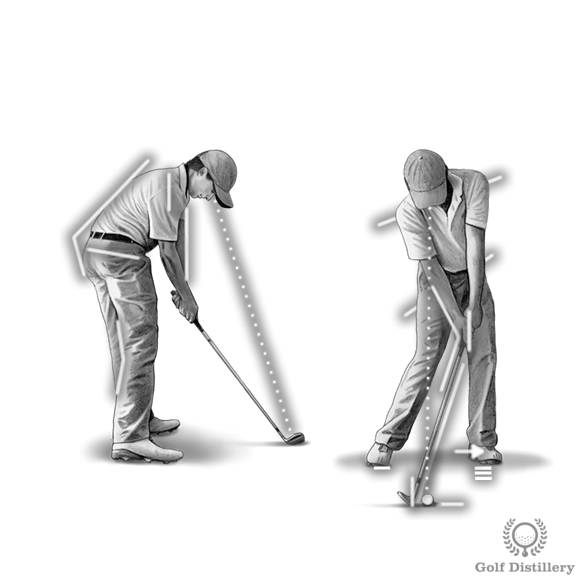 If you had positioned yourself properly while setting up for a shot, you would have leaned the shaft forward. This hands leading the way position should be kept during the downswing. This is in contrast to seeing the hands unhinge early at impact in what is referred to as flipping the club swing error and can also occur as a result of casting the club, another swing error. At impact your knees should retain some amount of flex still. Indeed, ideally the angle set in your knees should be kept intact throughout most of the swing. This is in contrast to seeing either knee locking up, which happens frequently to the left knee. 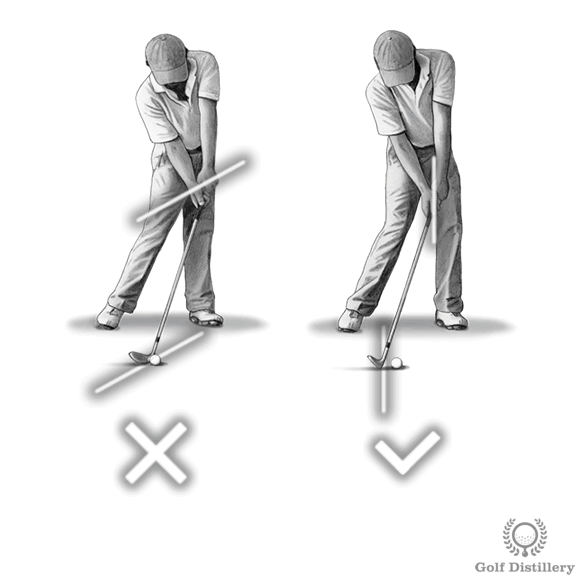 Failure to do so will result in thinned shots as the upper body and hands are raised suddenly just before impact in what is referred to as the standing up at impact swing error. When ultimately making contact with the ball, your hips must have rotated far enough to be wanting to point towards the target, mostly. This is contrast to lazily uncoiling your hips which would leave them in an open position and aimed way right of the target. 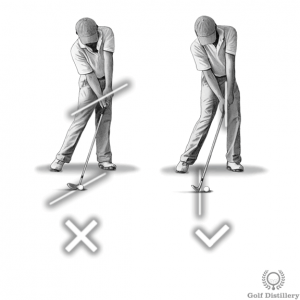 Your hands should also reach a square position at impact, meaning that both the palm and back of the hands should be pointing towards the target. 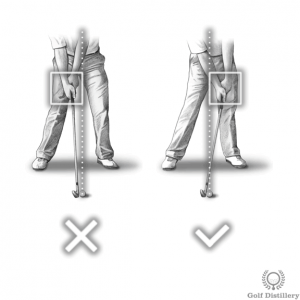 Crucially, your hands should position the clubhead into a square to the target position as well. Failure to do so will result in the blocking swing error, also known as “not releasing”. 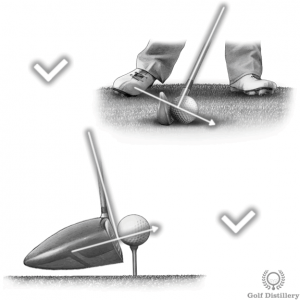 These errors result in an open clubface which sends the ball to the right of the target, at least initially. The spine angle that was set at address and kept throughout the backswing should be maintained on the downswing as well, all the way through impact. Such a process is called staying committee to the ball, or staying down on the ball. It is in contrast to the standing up swing error that sees the golfer rising on the downswing and changing the spine angle as he heads towards impact, which is to be avoided. So much has preceded the actual hitting of the ball that is it tempting to look up to see where the ball is headed after you hit it. In order to promote good ball striking it is crucial that you find yourself actually looking at the ball as you hit it. 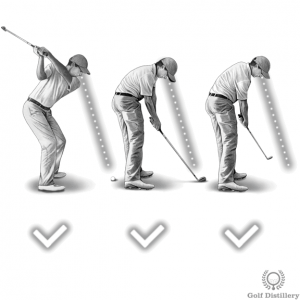 This is in contrast to lifting your head – and eyes – to where the ball is headed before actually hitting it. It might seem simple enough but this lifting your head swing error often occurs in anxious golfers who are picking up the game or those who are otherwise untrusting of their own swing at that point time and are anxious to see where it will end up. A solid strike using irons is made when the club hits the ball first and then proceeds to creating a divot in the ground. This can only happen when the club has not yet reached the bottom of the swing arc when it strikes the ball. This proper sequence of action is known as hitting down on the ball. It is in contrast to striking the ball after the club has reached the bottom of the swing arc, as the clubhead is again rising. 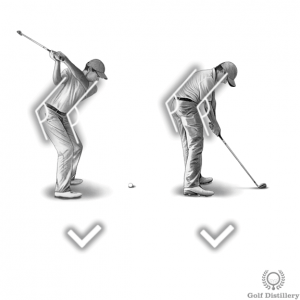 This often results in thin shots or otherwise less than ideal strikes the ball. Conversely, whenever using a club belonging to the woods category, you should aim to strike the ball when the clubhead is rising from its lowest point. This is referred to as hitting up on the ball and it stands in contrast to hitting the ball when the clubhead is still heading lower. Hitting up on the ball is achieved mostly through the careful positioning of the ball forward in your stance as you set up at address.